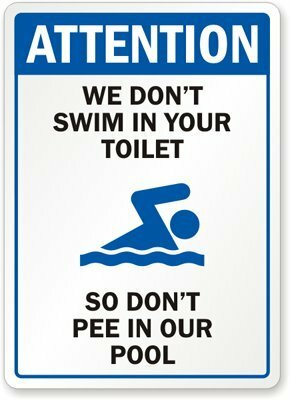 The Philosopher's Wife: Wordless Wednesday: Don't Pee in the Pool! Ha, that is pure awesome right there, so true! Every time I see that sign it makes me giggle. Thanks for the smiles! Isn't that the truth. Yuck! Funny, and I love the addition of "family friendly" in your linky text. I'll try my best not to. Oh I have seen that before and it is dang true and hilarious all at the same time. Thanks for hosting and having such a funny WW!